Tried and tested home health care services - we go the extra mile to meet your needs. 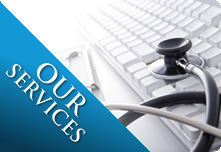 At Progressive Home Health Care, we do more than just the medical aspect of responding to your health requirements. Experience over the many years of practice has taught us that the way to better health lies far beyond what we can physically see or do. Giving you the care and attention you need aims to both strengthen you physically and restore your faith in yourself - that you can get better. However, for those who have life-limiting illnesses, our staff has been duly trained to deal with the emotional aspect of your health. We help you and your family come to terms with your conditions. In the process, we find ways to ease discomfort and pain. We can identify areas that you need help with and we know when to give you your privacy. These cannot be taught in school but it is honed through experience. Our staff members at Progressive Home Health Care were chosen to have this skill. Choosing us is like choosing a care program that fits you perfectly, knowing when to be there when you need us most.